I have a dataset that contains several hundred telemetry points for my focal species around twilight hours. Attached to these points are mean values that represent how active the animal was 10 minutes before and after the GPS point was taken. That is, when the animal is inactive, the cooresponding point will have a value of 0, whereas if the animal is incredibly active (such as running), the value goes up to 175. As this data deals with wildlife, you can imagine that it is zero -inflated (animals rest a lot) and likewise, there will be some overlapping areas with high and low values . 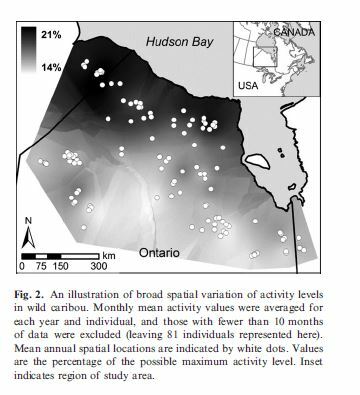 Is there a way to spatially interpolate this data as a means to visually assess areas where the animals are generally more active or inactive in ArcGIS? EDIT: Here is the closest example that I can find from the literature (Mosser et al. 2014; while the questions are still somewhat different, the basic concept is similar. Unfortunately, It did not describe exactly what she method she utilised for visualization. Browse other questions tagged arcgis-desktop spatial-analyst interpolation geostatistical-analyst wildlife-ecology or ask your own question. Calculating real surface area using Zonal Statistics as Table Tool? 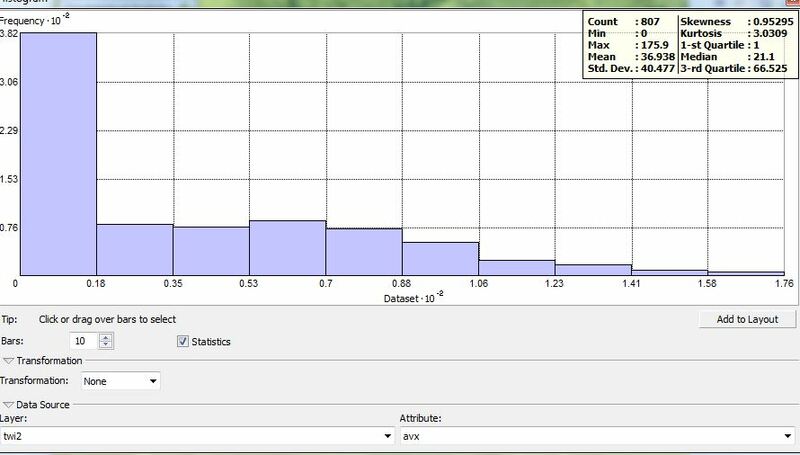 How to create a surface layer from gridded point data of air temperature and Precipitation?